NASA Earth #24Seven Social Media Event NASA is inviting people all around the world to share on social media what they are doing to celebrate and improve our home planet. In return, the space agency will also share what makes up a “day in the life” of NASA Earth science, capturing everything that’s involved in better understanding and protecting our home planet. Take a picture or a short video of an Earth-focused activity you are doing on Earth Day and post it on social media with the hashtag #24Seven. Pictures and videos can be posted to Twitter, Instagram and to the official NASA Facebook Event page. 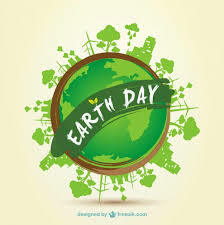 Earth Day is one day in the year where we can make a purposeful difference in the world. Take the bike or walk instead of driving is one way to travel to help with reducing carbon emissions. If one does choose to take transport take public transport instead – especially the type that don’t pollute. Keeping lights off when not really necessary, can help by placing less demand on the electric grid and also that means lower energy costs. The same applies to appliances and electronic devices like computers when not in use by turning these off can do a lot to reduce energy use. Replacing incandescent with fluorescent lighting or both with light-emitting-diode globes, should have less of a load on the electric grid, and also equates to lower energy costs. Upgrades around the home like with a photovoltaic (PV) array (solar panels) could help in bring energy costs down and also lessen reliance on electricity supply companies. Why not designate time this April 22nd to get the job done. What about at work? If a recycling program isn’t in place yet why not look into starting one. Encourage co-workers or employers to start a recycle program. Every bit helps in reducing the load going into our landfills and ultimately reduces production of methane and at the same time the recycled material could be reused after reprocessing.